Shivaratri has been celebrated for two days together without break this year. In my previous blog “Shivratri; Reasons and celebration” I have discussed about the reasons for the celebration. Now, here is another blog on the Jyotirlinga present across the country. But before that, I would talk about literally meaning of Jyotirlinga. Since the word is derived from ancient language Sanskrit. 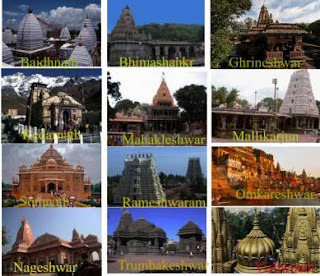 As I said there are 12 Jyotirlingas across the country. They say- lord Shiva was personally said to be present in the 12 sites where the Lingas were placed to mark his presence. This is also known as Moteshwar Mahadev. It is located on the Shayadri hills in Pune in Maharashtra and about 50 km away from northwest of Rajguru Nagar. It is believed that the temple has purgative powers if you offer prayers after the sun rise in the morning every day. As per the mythological evidence Ravan, who was killed by Ram, established the Baidhnath Temple. It is located in district Deoghar in Jharkhand. The area is known for abode of deities. It is located in Daulatabad in Maharashtra. It is also known as Ghrishneshwar and Ghushmeshwar. This is the last among the 12 Jyotirlinga. People across the globe come here for peace and tranquility. It is said to be the favourite place of Lord Shiva. Scriptures like Shiv or Skand Puran narrate the importance of the shrine. It is located in district Rudraprayag in Uttarakhand. This is the only south faced Jyotirlinga in India. It is located in Ujjain in Madhyapradesh. The morning prayer called Bhasmaarti is famous in the world. It is located on the mountain called Srishail in Andhradesh on the bank of river Krishna. It is known for purging people. It is located in Madhya Pradesh close to the city called Indore. River Narmada flows by the temple taking the shape of “OM” . that’s the reason it is called Omkareshwar. Lord Rama was said to establish this temple when he was on his exile. This is one of the fourth holy places of Hindus apart from being among the 12 Jyotirling. It is located in Ramanatpuram inTamilnadu. It is in Saurashtra in Gujrat. It is said the deity moon got over from the curse at the place which he received from Daksh Prajapati. The temple has taken various shapes at every period because of foreign invasion. It is located in district Nasik in Maharashtra. It is named after lord Shiva. Lord Shiva remained here as the Jyotirlinga at the behest of river Godavari and saint Gautami. It is in Kashi in Uttarpradesh. It is said it would remain unscathed even at the doom’s day as Lord Shiv would take the city in his trident. So, these were the brief description of the Jyotirlinga present in the country. Please don't forget to comment at the comment box. Category Indian Festival, Mythology, Notes for Students.